Hello, my husband and I are VERY interested in building a done house in California. In order to build any structure on your property here that is larger than 140 SQ feet (which would be a little to small for us and our baby), you have to get blueprints from a certified architect in order to get a permit to build legally. Do you do blueprints? If you do, we would be able to proceed! I'm currently waiting for my structural engineering plans to be ready. It is designed to meet building codes in Colorado. I have the floor plans you can see, it is a 3 bedroom design with the master bedroom on the second floor . 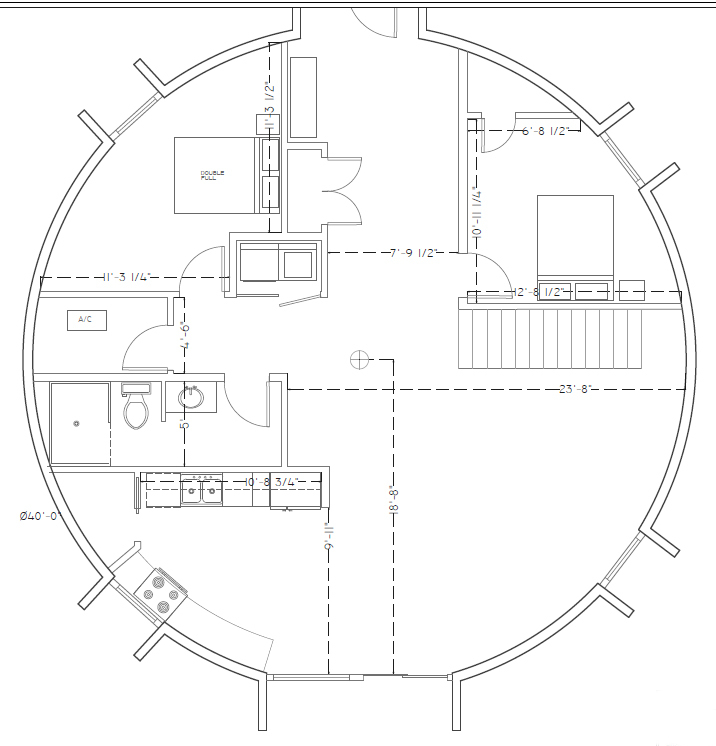 If you're interested in my dome home design I would sell them to you to help me with the expence. I paid $2,853.00 I would give you a better deal. The YouTube video will show you the process I'm going to use to build. Which will be to create a reinforced structural layer first then to apply a 12 inch aircrete layer on top of that. @Talyn71 Did those plans get approved?